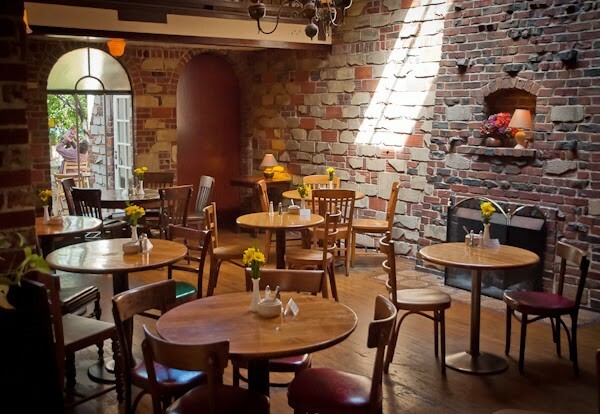 Of all the ways you might describe Berkeley’s Le Bateau Ivre (2629 Telegraph Ave.) — offbeat brunch spot, romantic hideaway, or the place you go to bang out your Cal thesis — perhaps the most apt is simply this: It is a restaurant that time forgot. Owner Arlene Giordano worries that some of her customers may have forgotten about it too. “A lot of people say, ‘Oh yeah, we used to go there twenty years ago,’” she said. Now, Giordano said she needs those customers’ help to keep the 42-year-old French restaurant afloat. She recently launched an ambitious crowdfunding campaign to raise $60,000, which she said will allow her to get caught up with bills and to pay for a handful of long-overdue upgrades to the space. 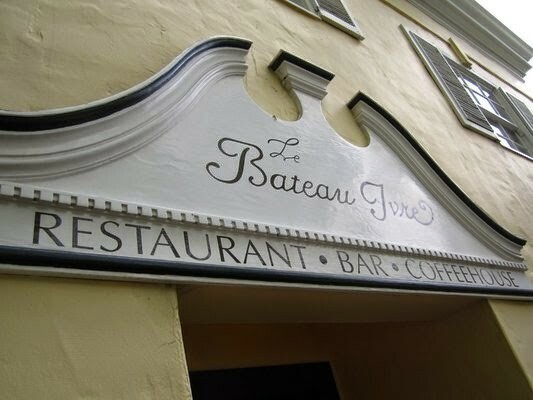 Giordano said that for regulars, the appeal of Le Bateau Ivre (whose name means “The Drunken Boat,” after the Arthur Rimbaud poem) has a lot to do with the fact that the space feels more like a charming old house than it does a restaurant. The rustic exposed-brick walls, tree-lined garden patio, and freshly baked cookies all contribute to that effect. And, just like at a good friend’s house, Giordano said that she and her staff have never complained if people sat down and lingered for the better part of a day. “I know a lot of people have written books here,” she said. But business has been tough for the past few years, with the brunt of the recession coinciding with the death of Giordano’s husband, Thomas Cooper, who had handled most of the physical maintenance of the restaurant. In addition to paying her bills, Giordano said she plans to use part of the crowdfunded money to install lights outside, which she hopes will help make it more obvious that the restaurant is open for dinner. She also wants to replace some outdated kitchen equipment, and to make the back room — where the restaurant hosts live music on Wednesday nights — wheelchair accessible. Le Bateau Ivre’s Indiegogo campaign, which has raised a little more than $4,000 as of this posting, runs until November 13.